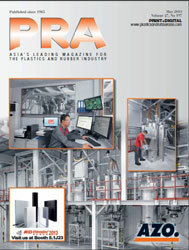 Mitsui Chemicals and Prime Polymer Co (a joint venture between Mitsui Chemicals 65% and Idemitsu Kosan 35%) are augmenting production to strengthen the group’s position in growth markets, at three of its global PP compound hubs – US, Mexico, and India – in response to growing demand for automotive use PP. The group currently has eight global production sites (Japan, US, Mexico, Europe, Thailand, China, India, and Brazil) and R&D facilities in five areas (Japan, US, Europe, Thailand, and China) for automotive use PP and has continued to enhance its production system for premium-quality products. 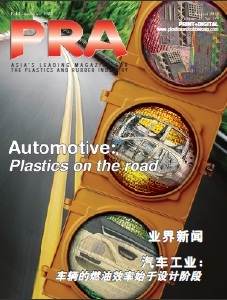 While needs to reduce environmental load and regulatory constraints expand, the demand for lighter weight automobile parts which do not require paint processing, such as bumpers and instrument panels, is also expected to grow. In fiscal 2017, the group will strengthen its production capacity by 5% in North America, Europe, and Asia bringing the production capacity to 1.05 million from the current 1 million tonnes, thereby securing its position as the world’s top class provider of PP compounds for automotive use.